We are only 1-week away from the 2016 Salt Lake City FARE Walk for Food Allergy on Saturday, September 17, 2016! You can help us reach our goal! The Walk is a day for our community to come together as one. It will be a day full of fun including an obstacle course, face painting by My Kids Entertainment, dancing with Munchkin Radio, and hanging out with the superheroes from Kids Heroes Foundation – not to mention our special guests from Denda Martial Arts Academy who will be warming us up with some ninja sweet moves – all in addition to the walk itself! 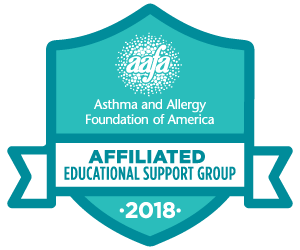 Join UFAN and the food allergy community as we lace up our walking shoes to raise awareness and much needed funds to support education and awareness programs, food allergy research, and local community events that provide an allergy friendly atmosphere. We need YOU! Please consider your ability to volunteer and help us make it a great event! View the sign up here for more information.